Sometimes you have to let go of the things you think you want in order to get out of your own way and find the thing you were meant for. And so it was in the spring of 2009, when Chef Kelly McCown became another casualty of the recession, losing his dream job as Winery Chef for Francis Ford Coppola’s Rubicon Estate. The financial crisis and ensuing economic downturn caused a restructuring of the whole winery operation, and his position was eliminated. 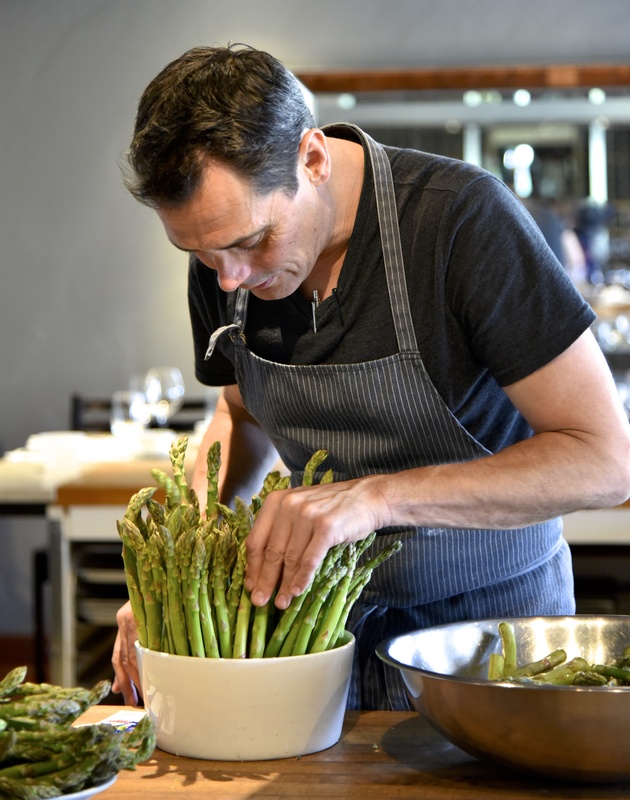 To recap then: In the 1990’s, Kelly had spent almost a decade in Seattle during its renaissance and emergence as a culinary mecca, and in the 2000’s then rose the top of his profession in the Napa Valley during an economic boom time, when anything seemed possible and creativity and extravagance reigned. Now he was adrift, jobless, and ready to work. That’s when fate stepped in with another surprise for him. A friend urged him to at least apply for an Executive Chef opening Ella Dining Room and Bar in Downtown Sacramento. He apprised Kelly of the Selland Family’s other highly regarded restaurants in town, including The Kitchen, and told him Ella was “the place to be” at the time. So he applied. Though Kelly says, with a bit of his signature smirk, that there was “no way in hell” he was going to take a job in Sacramento. McCown knew virtually nothing about Sacramento except that it was the Capital of California, that we had the Train Museum, and that we were surrounded by farmland. He seems to recall a field trip here when he was nine years old. In any case, he couldn’t imagine leaving Napa for a sleepy government town. But then he walked into Ella. The space was beautiful, he recalled, and the staff incredibly polished and well trained. He was intrigued. The real drama (or comedy, depending on your perspective), came when he had to sit down that day for his first interview with the whole Selland Family – Randall, Nancy, Tamera and Josh. True to family form, as he would later find out, Josh led the interview with lots of pointed questions and a constant “annoying pen-tapping” that Kelly was certain Josh was doing on purpose to make him nervous and throw him off. Tamera was a bit more reticent, asking just a couple deliberate follow up questions. And Randall went off on a bunch of entertaining tangents about his ideas on food and service, while Nancy attempted in vain to shut him up. Family dynamics! Kelly got the call back to cook for the family after that. In the audition, he showcased some of the showstoppers that won him the job and later became legend at Ella. Roasted Chicken with Corn Pudding and Porcinis. Salmon and Quinoa with Basil Vinaigrette. Saffron Gnocchi with Nantucket Bay Scallops. Kelly remembers he and Randall arguing over the consistency of the gnocchi, with Kelly preferring them firmer and Randall a bit more cooked. The infamous Tuna Carpaccio was the dish that sealed the deal for the whole family – a perfect balance of freshness, flavor, and unexpected textural elements. Well, that dish and the fact that Randall had done some recon on Kelly with purveyors in the Napa Valley and they all vouched for him. Looking back now, Kelly is able to better see how much he loved his early years in Sacramento. Helming the kitchen at Ella was pretty amazing. He had his beloved signature dishes on the menu, a busy restaurant, and a great crew. In addition to the dishes already mentioned, Kelly introduced the universally adored Watermelon and Rock Shrimp Salad as well as the infamous Bone Marrow dish, which was a hard sell at first, especially getting the go ahead from the Sellands for putting it on the menu. But once it caught on it became incredibly popular and then was adopted in various forms at other restaurants around town. 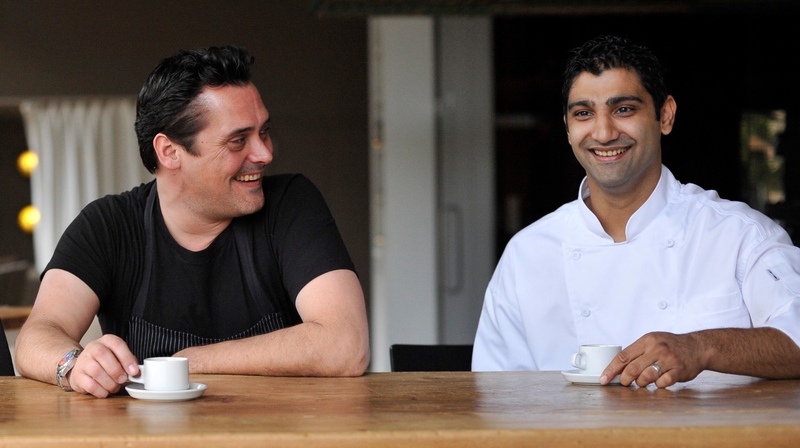 Kelly also especially enjoyed working with Ella Sommelier and now Director of Operations for all Selland Family Restaurants, Joe Vacarro, and he hired Chef Ravin Patel who would go on to become executive Chef of Ella and then Executive Corporate Chef for SFR. While in Sacramento, Kelly also made friends with many of our local farmers and ranchers, including in particular, local sustainable aqua farmer Michael Passmore of Passmore Ranch. 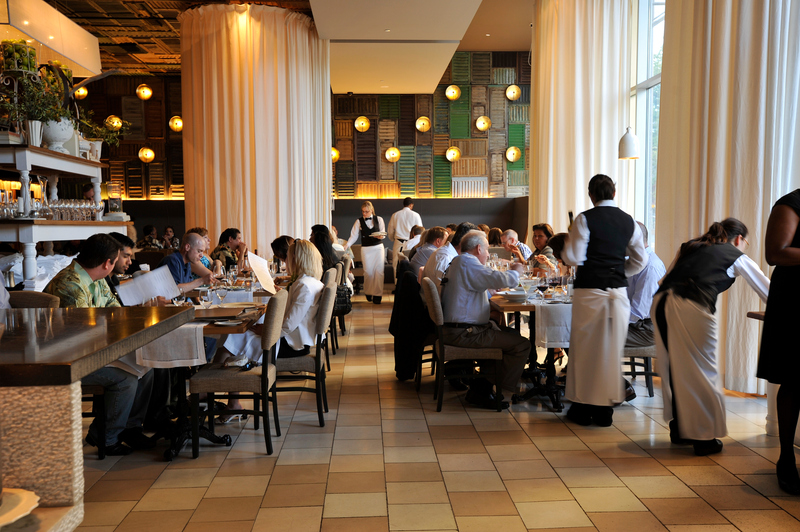 Ella was among the first restaurants in town to feature Passmore’s sturgeon, trout and bass. Additionally, Kelly started the Sacramento Chefs Forum to try to being together the city’s chef and restaurant community, and he spearheaded special one-night-only dinners at Ella with unique wineries, famers and foragers. As it was in the other cities where Kelly worked, he wanted to bring together the community and be a part of something bigger. And as with Seattle and Napa, Kelly came to Sacramento just at the cusp of when the local culinary scene was starting to take off. Again, he had fortuitous timing. And he really was starting to feel like Sacramento was home to him. However, in 2012 the sudden opportunity came for Kelly to move back to the Napa Valley and open and helm a new restaurant in St. Helena that would be in the same space as his old, beloved Martini House. He couldn’t resist. In retrospect, Kelly admits the move was motivated somewhat by ego and a desire to prove something. He had never really gotten over the sting of losing his job at Rubicon Estate when the economy tanked. So he left Sacramento and opened St. Helena’s Goose and Gander to great accolades and awards, and it was by all accounts a success. But the magic wasn’t there. Kelly found himself missing Sacramento and the working relationships he had with the chefs and farmers here and especially with the Selland Family. He says all this with no trace of his signature sarcasm. He really hadn’t realized what a great working relationship he had with Randall, Nancy, Tamera and Josh until he left and got some perspective. And so, in spring of 2015, the prodigal son returned when, as luck would have it, the Sellands were ready for a new Executive Chef at The Kitchen. Kelly is thrilled to be back in Sacramento and finds the food scene more interesting and inspiring than ever. The Kitchen, he says, at 25 years old now, is basically another child, a “member” of the Selland family, and Kelly says the trick is to treat its legacy with the respect and reverence it deserves while also keeping things new and fresh and exciting, and to make it his own. He has expanded and updated the sushi break and has injected a lot of his own favorite ingredients and techniques while deftly incorporating and updating Kitchen classics, especially Randall’s favorite things, and maintaining the Selland family’s sense of joy when it comes to food, service and hospitality. As far as the Sacramento restaurant scene, McCown just participated as a lead chef at the 2016 Farm to Fork Tower Bridge Dinner. 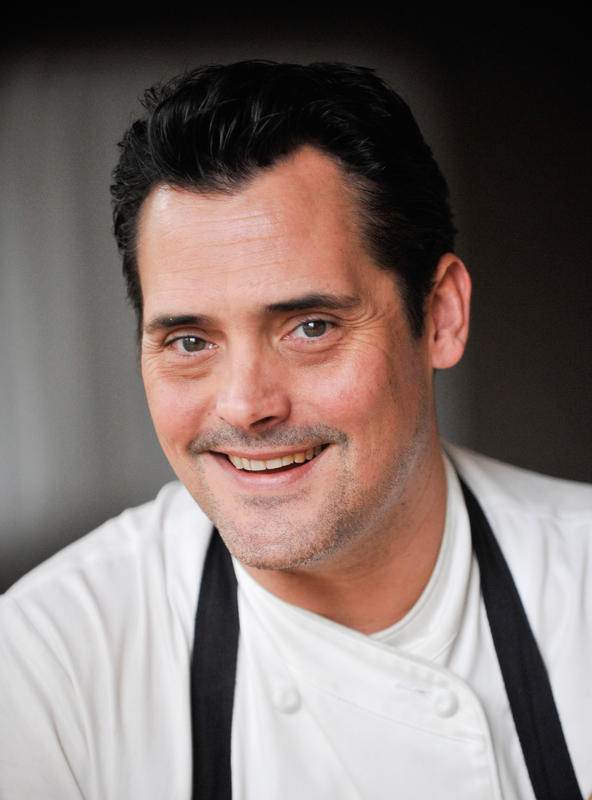 He did so alongside Chef Allyson Harvie, whom Kelly just hired as The Kitchen’s Chef de Cuisine. He sees the Sacramento chef and restaurant scene exploding right now, with Chefs like Bill Ngo, Michael Thiemann, Matt Masera, Mike and Molly Hawks and many more elevating the conversation and making their mark on not just the local but the national scene as well. 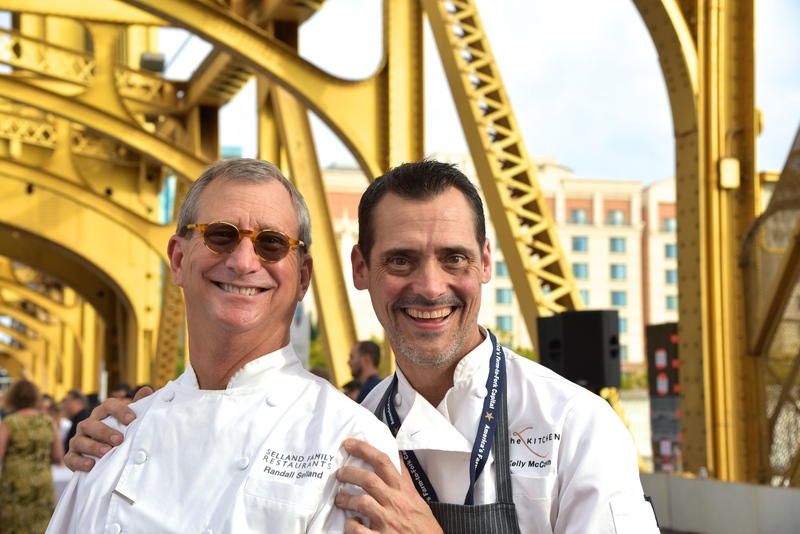 He is excited to be back at such a culinarily rich time in Sacramento, when we have the growing Farm to Fork movement and Chef Michael Touhy doing fresh farm to fork food at the Golden One Center, and so much more. It is Sacramento’s time to shine, Kelly is back, and he’s not going anywhere. Luckily, the old saying proves false in this case – you can go home again, even if home is where you least expect it.